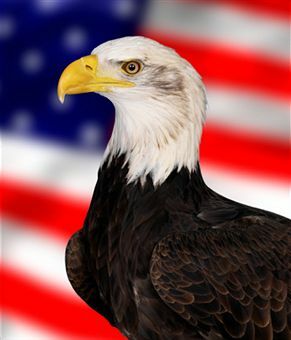 Memorial Day is a special National holiday of remembrance. We honor all the service men and women who gave their lives so we could live free. Many people honor and celebrate this holiday by enjoying picnics, cookouts and fun play at the beach or the park, enjoying their freedom in the fresh air. This Memorial Day, do something extra special with your family, do your best to keep your carbon footprint small and enjoy a healthy green holiday. A great way to celebrate freedom and honor the fallen soldiers is to be extra good and loving to yourself and the planet by enjoying activities that are green, healthy and non-toxic. Heart-healthy, alkalizing, organic, whole, plant-based vegan foods that are bought at an organic health food store are your best choices for enjoying a healthy delicious picnic or cookout that will make your whole family feel good. A great motto to live by is: “if in doubt, do without”. It's smart to pay extra attention to the desserts you eat. Whether you are going to bake homemade pastry desserts or buy ready-made at the market, it's very important to be mindful of the ingredients that you and your family are going to consume. Eating healthy, natural, whole, delicious organic foods is very conducive to the active play and sports you may be taking part in this Memorial Day. In addition to eating healthy organic foods at your picnic or cookout, it's also important to use tableware that is non-toxic, biodegradable, green, and BPA-free. A wise choice for green non-toxic tableware is organic cotton or hemp cloth napkins, ceramic or stainless steel cups and bottles, and plates and storage containers. 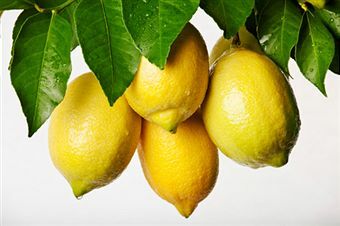 Soak 4 thick slices of fresh cut lemon in 4 C boiling hot water overnight. The next day, once the lemon water has cooled, gently slowly pour into a spray bottle. Add 3 drops organic citronella essential oil, 3 drops organic peppermint essential oil, 3 drops organic tea tree oil (melaleuca), and 1 drop organic clove essential oil to the mixture and close the spray bottle tightly and shake well so the blend is thoroughly mixed. Keep this mixture on hand to use when you need it. As some of the essential oils used in this mix may cause skin sensitivity in some, it's best used as a bug guard. Use this spray mixture to spray the bugs around you or an area, instead of spraying directly on your skin and be sure to take caution and don't spray near animals or children. When you're done enjoying your freedom outside and your fun in the park with a picnic, please be sure to always clean up your mess. Toss the recyclables into one non-toxic biodegradable plastic bag and toss the trash into another. Leave the space as clean and nice as it was when you found it. Follow these basic and simple green tips, and we can all enjoy a healthy, green Memorial Day and maintain a small carbon footprint everyday. D.A. Colvin is a social and environmental issues freelance writer and is a very active environmental advocate and animal rescue advocate. She and her husband live on the East Coast of the USA and share their home with two adorable, wonderful, sweet cats, their babies. D.A. is a healthy green living consultant and offers advice to those who desire to live healthier greener lives. She publishes a monthly newsletter filled with great money-saving eco green tips and delicious heart-healthy recipes. Subscribers can sign-up for FREE at Body Earth Self. D.A. can be reached via e-mail at permadeva@yahoo.com on Twitter and Facebook . Her website is Body Earth Self.